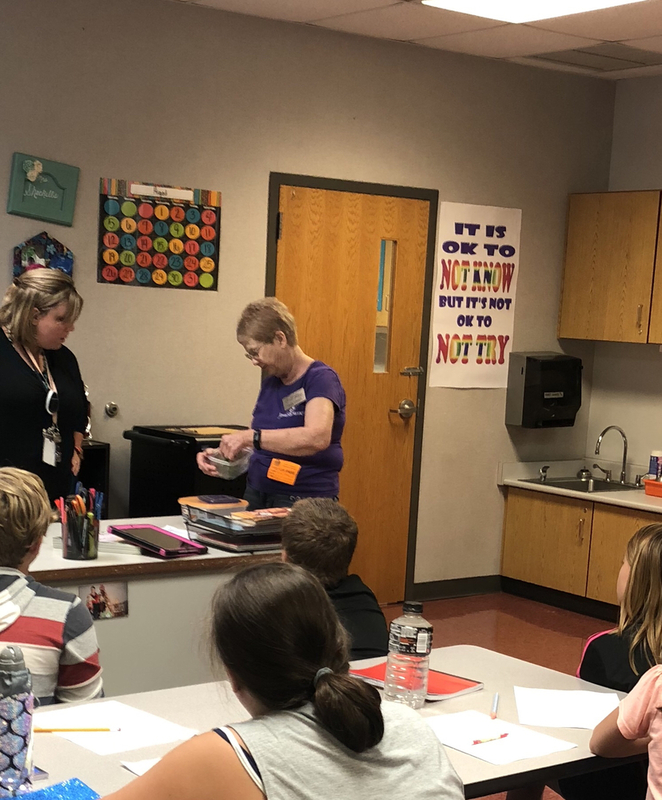 Students were excited to have Margie Edwards, master gardener and retired teacher, deliver monarch caterpillars and chrysalises to their classrooms on Wednesday. Mrs. Edwards raises hundreds of monarch butterflies each year. She visits many classrooms to teach students about the lifecycle of the butterfly and how to care for them. The caterpillars will be cared for by students who anxiously wait to watch the butterflies emerge. After the butterfly wings dry, students will release them outside.